Straight from your fave bloggers! When it comes to Instagram, a perfectly shot photo is not always good enough. 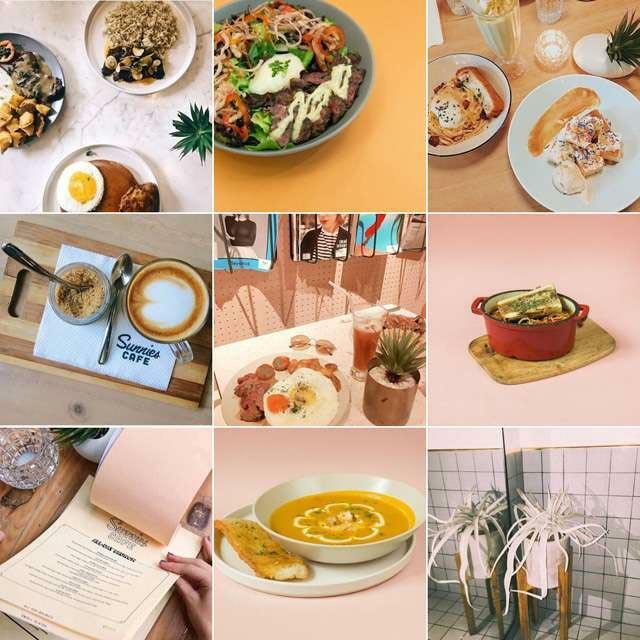 You also need a cohesive, flawlessly curated grid to up the ante and to double as your visual calling card (it's the digital age, after all). Over the years, we've seen washed-out feeds take over the game—clean, minimalist, and dominantly white. And then there are those who prefer the other end of the spectrum—colorific, highly saturated, and so vividly alive. But as with all trends, you eventually wake up one day to discover that something new is reigning supreme. Just like the latest craze to hit Instagram: a Wes Anderson-inspired feed. We mean exactly what it sounds like; browsing through these IG feeds is like peering into the dreamy world of the prized American director. 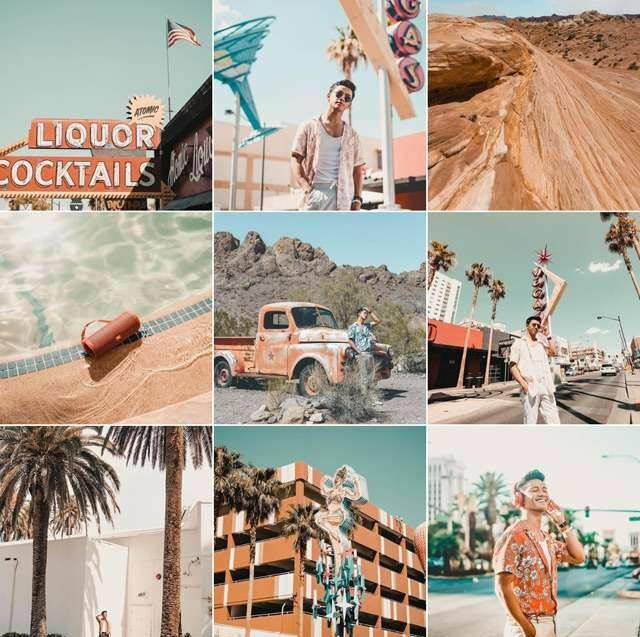 They're composed mostly of muted pastel hues that give a cinematic feel to the photograph, as if each post was plucked out of a Wes Anderson film. 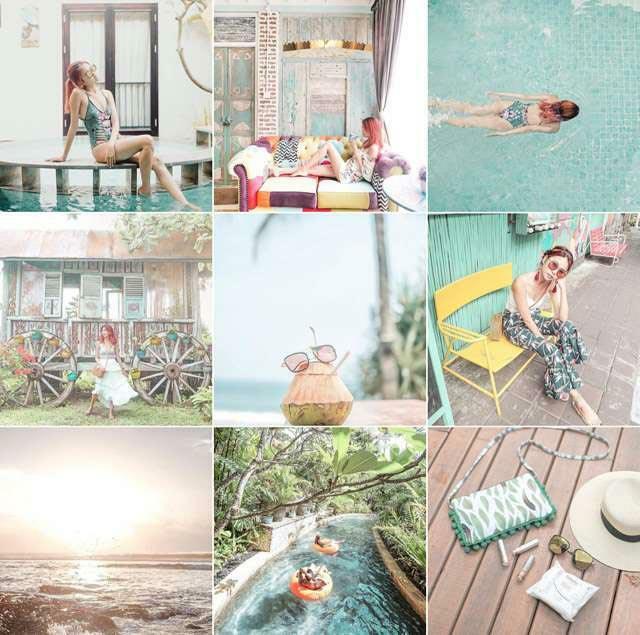 Lifestyle and travel blogger Camie Juan's is easily one of our favorites. One look and you'll instantly be reminded of The Grand Budapest Hotel's cotton candy palette. True enough, her editing style is partly inspired by the director's signature aesthetic. "The idea behind my photo edits has been Europe mixed with Wes Anderson," she tells Preview. "I really love the way [he] plays with colors in his movies, and, well, Europe is my favorite place to travel to." 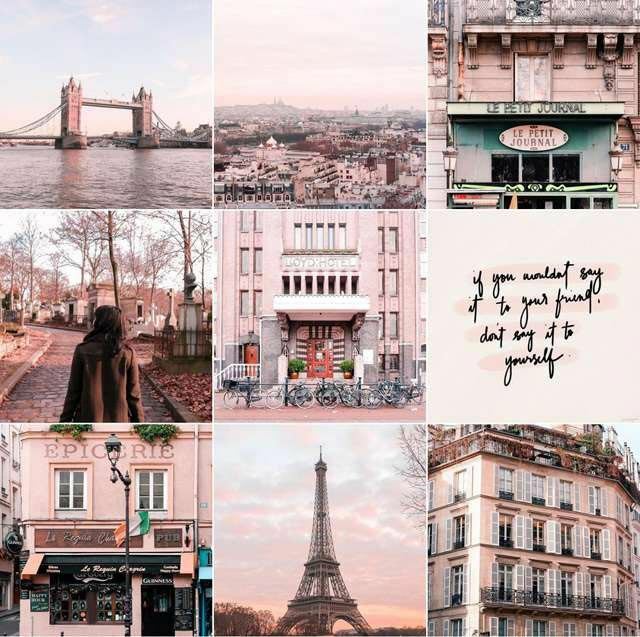 And if you're also currently obsessed with the millennial pink trend, then we guarantee that scrolling through her feed will be a visual feast. 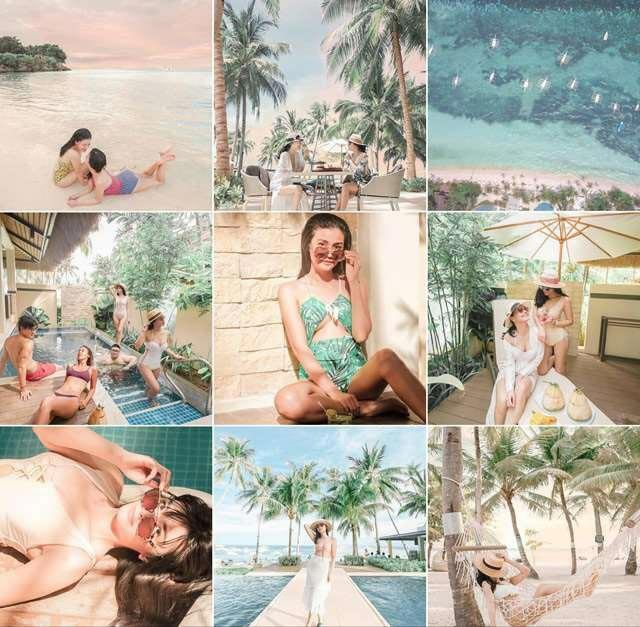 Vern Enciso's dominantly pastel Instagram grid also takes inspiration from the same source. "I was actually recently inspired by Wes Anderson's movies. I just did a marathon on my last 16-hour flight and I fell in love!" she reveals to us, adding how her new editing style has also been eliciting reactions from her followers. "Some have even been commenting that the colors are close to looking like a cartoon, but I just find it so aesthetically pleasing." 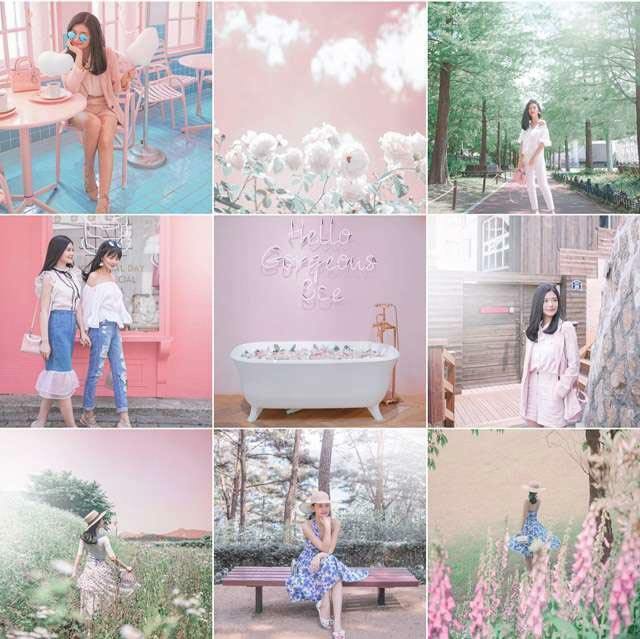 Coincidentally, Vern's sister, Verniece Enciso, has an identical style when it comes to editing her photos, although hers is primarily because of her innate penchant for pastel colors. "Ever since I was a little girl, Barbie has always been my fashion inspiration. I've always loved pastel colors," she admits. In fact, she goes to great lengths to maintain the same style, even if that means letting it influence her OOTD preferences. 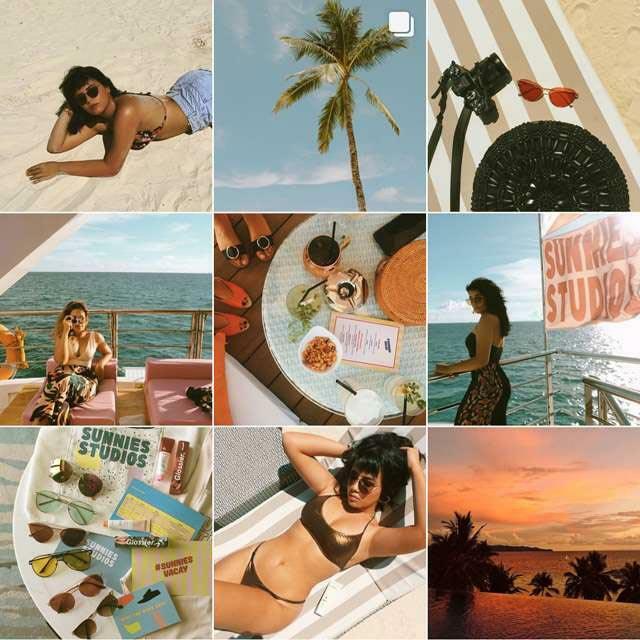 "Unfortunately, it's difficult to maintain [my pastel feed] when I'm not traveling since there aren't much pastel-colored places here in the Philippines. To compromise, I wear pastel colors instead." Let's move on to the most important part, shall we? How, pray tell, can one actually achieve this kind of editing style? Well, for one, the Enciso sisters both use VSCO and Snapseed as their preferred photo-editing apps. Vern's expert advice is to inject the photo with a cream-hued highlight, opt for warmer temperature, lessen the contrast, and increase the vibrancy. She then adds, "I use the same filter with every photo. That's why my feed looks put together even with all the colors! Choose one and stick to it." But if all that still sounds complicated for you, here's the good news: If you're having a hard time trying to cop the Wes Anderson-inspired IG feed, you can already stop torturing yourself by simply purchasing Camie's Lightroom Presets—"I spend time experimenting editing styles on Lightroom. I've made my Lightroom Presets available for sale on my shop so if people want the same pink theme on their feed, they can easily achieve it." It doesn't sound so difficult now, does it?